Pencil Lengthener and Holder provides balance and control when pencils or charcoal sticks get too short. Saves money by extending the usable life of pencils and other drawing tools. Fits most round and hexagonal standard pencils. 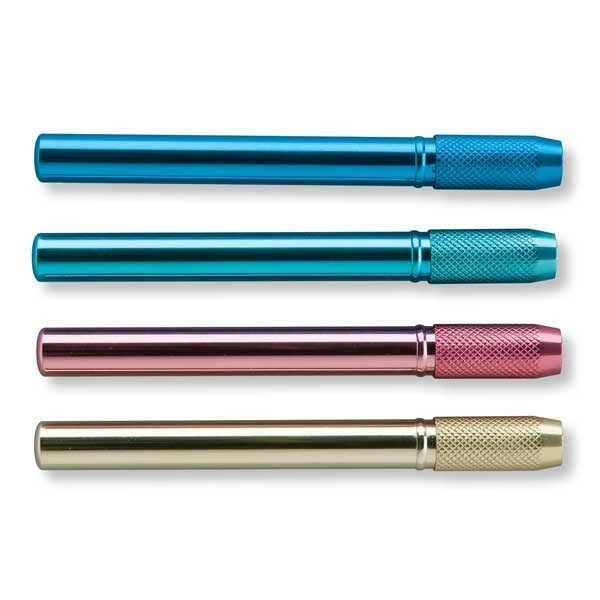 Made of anodized aluminum in three colors per package.